Parker has created a Folkestone version of one of the most popular tourist attractions in the world, Copenhagen’s ‘Little Mermaid’. All women of Folkestone were offered the opportunity to model for the mermaid. 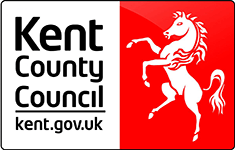 Through a process of open submission, Parker chose Georgina Baker, mother of two and Folkestone born and bred. 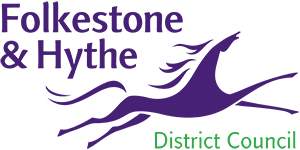 Unlike the idealised Copenhagen version, 'The Folkestone Mermaid' is a life-size, life-cast sculpture, celebrating the local and the everyday. 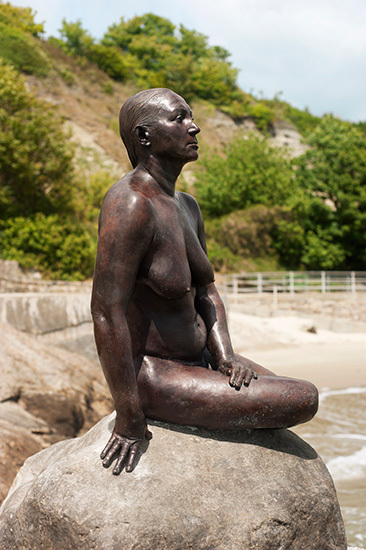 Parker’s mermaid, a more confident and knowing lady of the sea than Hans Christian Andersen’s fairytale one, is a permanent work for Folkestone. Parker has become known for her installations and interventions, including ‘Cold Dark Matter: An Exploded View’ (1991), where she suspended the fragments of a garden shed, blown up for her by the British Army; and ‘The Maybe’, a collaboration with actress Tilda Swinton, at the Serpentine Gallery in 1995. She wrapped Rodin’s ‘The Kiss’ with a mile of a string to make a new work ‘The Distance (a kiss with string attached)’ for her contribution to the Tate Triennial (2003). Cornelia Parker was awarded an OBE in 2010 and was a Turner Prize nominee in 1997.